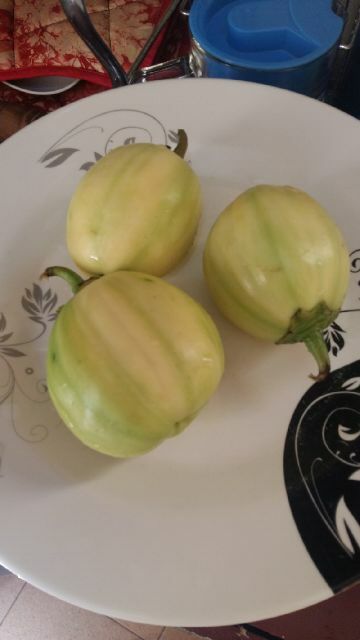 Madrina’s garden egg and kidney sauce. 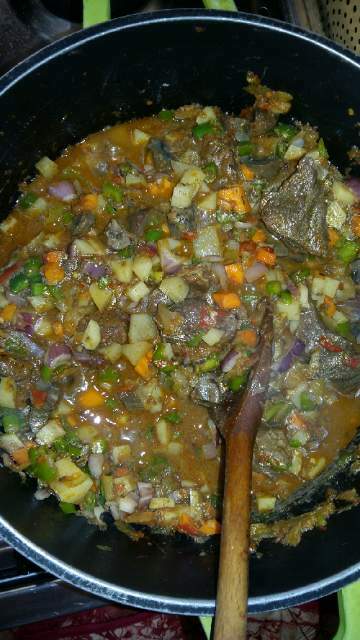 My friend Madrina saw my gizzard vegetable sauce (if you haven’t checked it out, find it here ) and she went on to make her version of the sauce. She was kind enough to take pictures and share the recipe with us. Thank you Madrina. 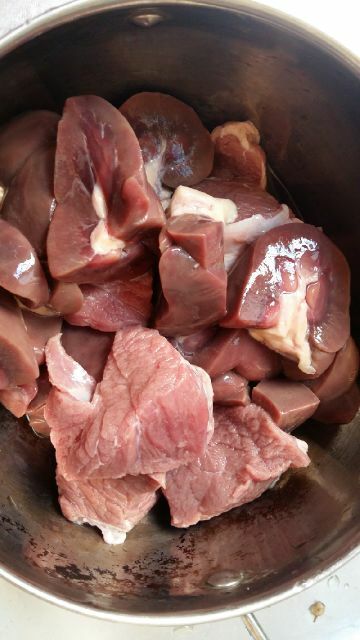 Cook meat and kidney until tender. Add all required seasonings before you cook; knorr cube, curry, thyme and meat masala. Be sure to put a little seasoning at the beginning and taste along as the meat begins to cook and the stock reduces. 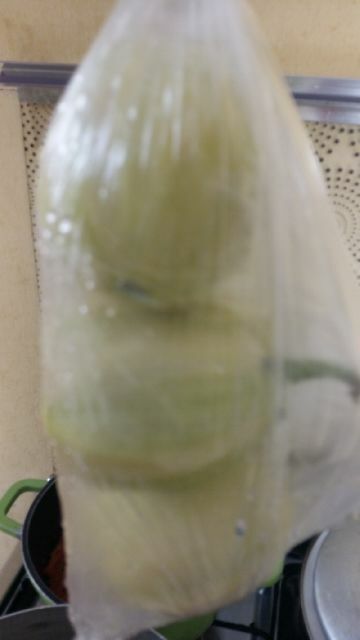 Place your garden eggs in a big polyethylene bag or in three separate small white polyethylene bag like i did and place in boiling water. Allow to boil till the eggs are soft. Then remove the seeds (if you wish) and mash. Set aside. 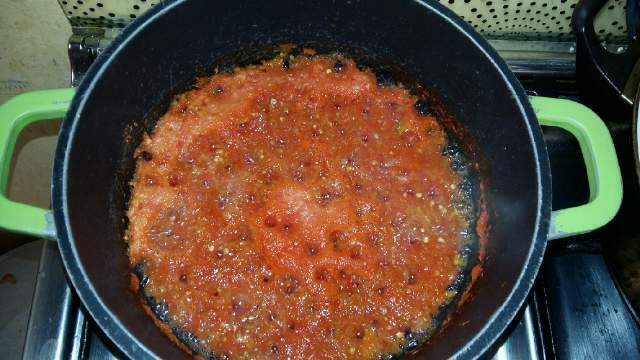 Blend your tomatoes, pepper, tatashe, one onion. Pour the mix into a pot on a heat source and let the water dry out. 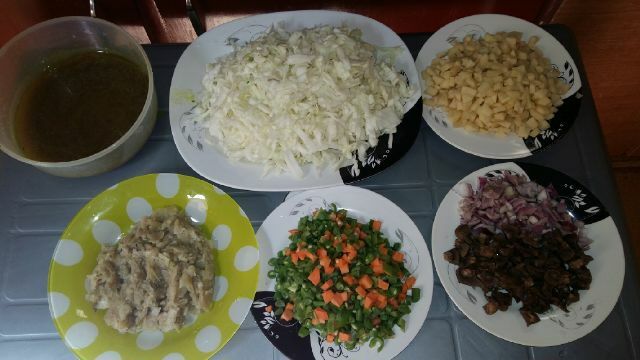 Chop the carrots, green beans, green pepper, potatoes, remaining onion and the cooked kidney and set aside. 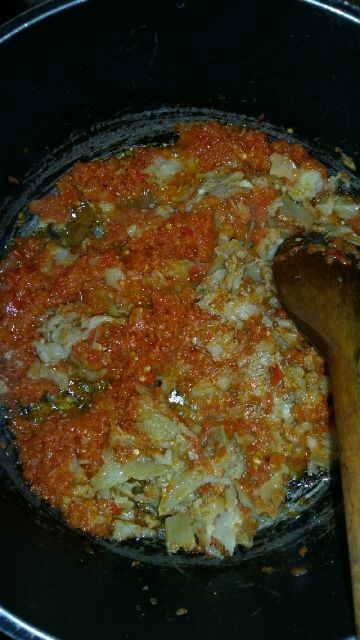 Heat up the vegetable oil in a pot, add the blended tomatoes mix and the mashed garden eggs and let it fry. Next, add the beef, potatoes and little meat stock and cook till potatoes is soft. Then add in all the chopped items. Add veggie spice to the mix. 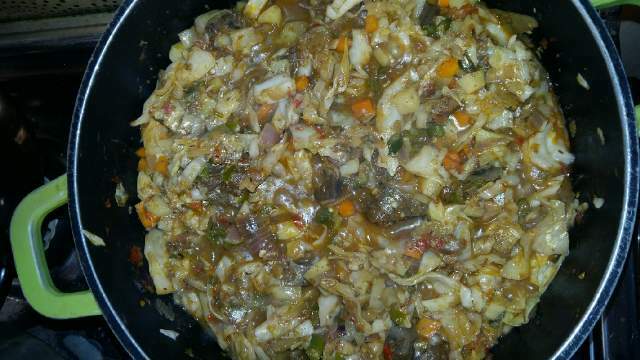 After 2mins, add in the cabbage. Add a little water, knorr and salt if required. Let it cook for a minute or less. And serve. The rice was made pretty much the regular way only that this time when the water in the pot is remaining a little to dry out, you break in your egg on the top close the lid and let it cook. 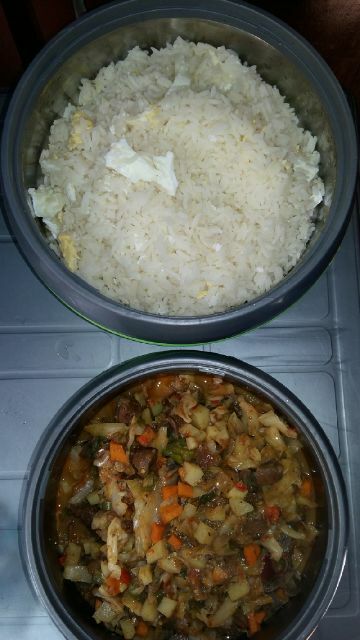 Details of the rice can be found here. I like the way you went about it Madrina, thank you for sharing. I should try this out. If you do try her version or any other one, let us.